This was Volvo's first foray into the luxury car market. The 164 was sold from 1969 through 1975. It didn't take a lot of effort on Volvo's part to create this car. It's essentially a 144 with a longer, differently styled nose, a 6 cylinder engine and some "luxury" touches. 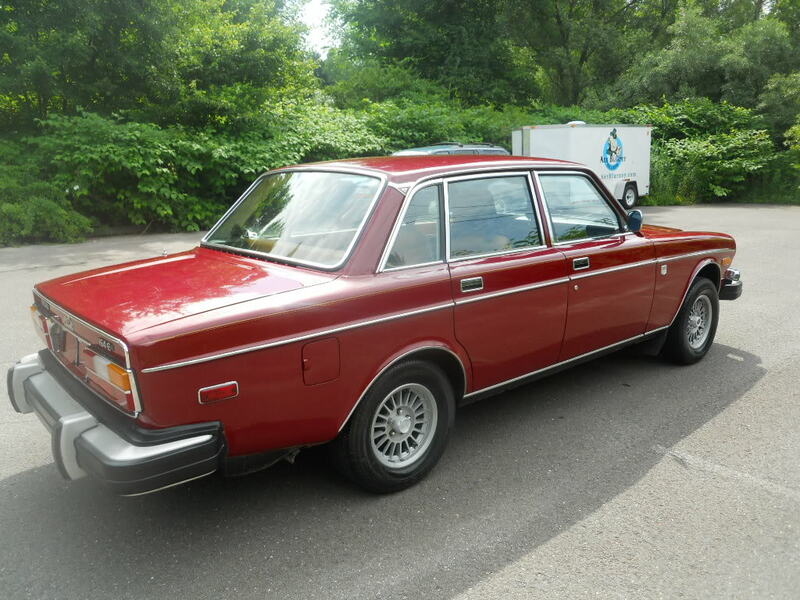 The styling was still pure Volvo 144, meaning it was boxy, practical, but not especially exciting to look at. When the 164 was introduced in 1969, the US had not yet enacted its (stupid) 5 MPH bumper law. The front end had a bigger grill and a smaller bumper the dipped down below the grill. It was a much nicer looking front end than the one on this (and all 1974 - 1975 164s) car, but just about everything else about this car is better than the earlier ones. (You can find a July, 2009 post about a 1970 164 here.) 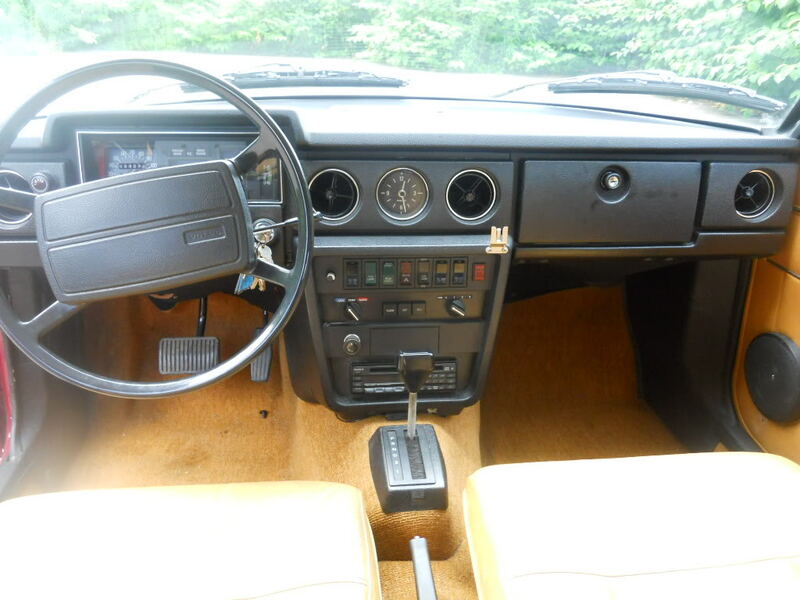 By the time this car was built Volvo had changed the dashboard, redesigned the seats, moved the shift lever to the floor and added fuel injection to the engine (among other things). 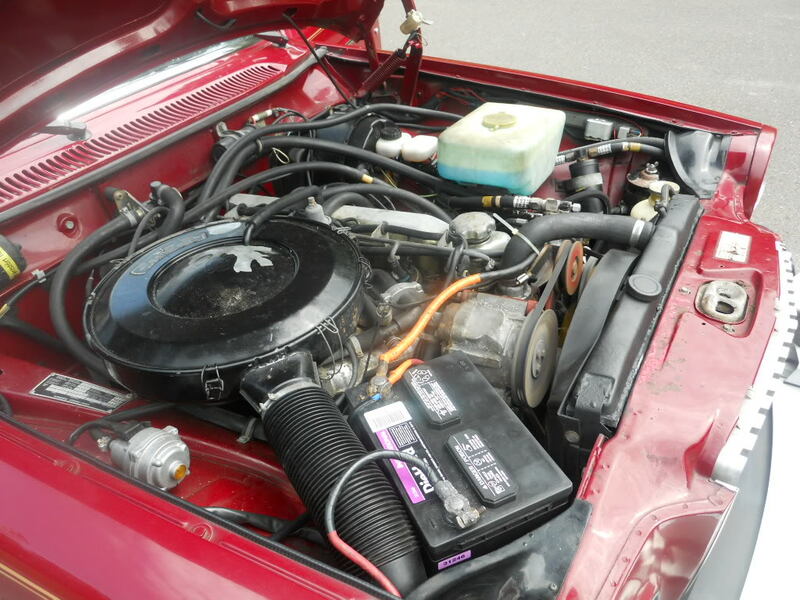 The 6 cylinder Volvo was only offered as a 4 door sedan. 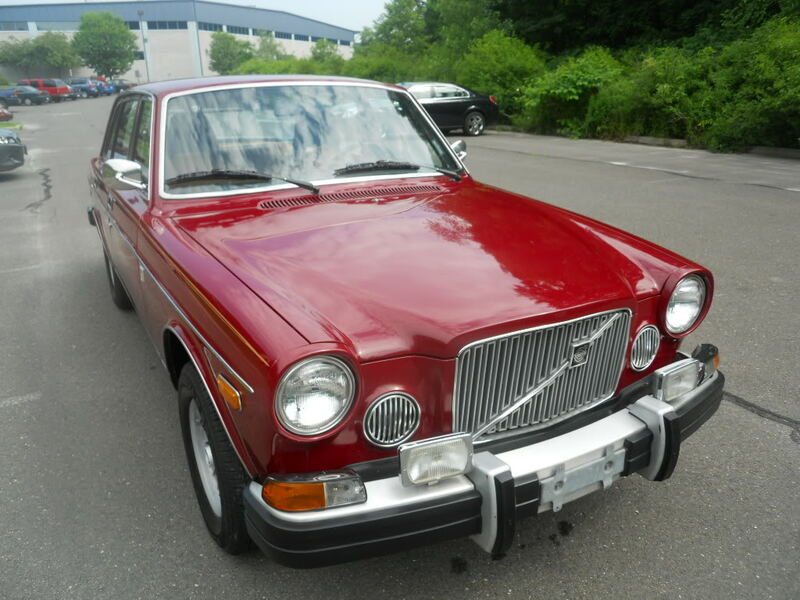 For whatever reason, Volvo never offered a station wagon version. Given the popularity of Volvo's 145 station wagon, it seems like it would have been a no-brainer to create a 6 cylinder wagon. This 53,000 mile 164E is a time capsule. The body and interior are in amazing condition. (The seller doesn't mention if this car has been repainted or not). The car screams "1970s CAR!". Not only are the diving board bumpers pure-1970s, but the bumper mounted fog lights, CB radio microphone mount and trunk lock protection plate are all things that were common back then, but started to disappear in the 1980s. Another amusing piece of 1970s technology is the the antenna switch. The electric antenna was not integrated into the radio electronics, so you needed to raise and lower the antenna via a separate switch. Volvos from this era are known for their longevity and this car is no different. The inline 6 is essentially a Volvo 4 cylinder with two extra cylinders and will run forever if given routine maintenance. The only issue with this car is the Bosch D-Jetronic electronic fuel injection. It can be troublesome and, being 35 years old, it's getting tougher to find certain parts for this system. Having said that, any car that has survived this long has most likely already had work done to the FI and should be fairly trouble free. This is a classic you could drive every day. I don’t think this is the original color, from these pictures, it seems a little too red. The original colour was more rusty. Nonetheless, a very nice car. it is exactly the same color, i bought on e new in 75 and stoped driving it due to fuel injection problems along with electrical issues.......but now i wish i had it back....the color is right !!! Here’s mine. Also a 75, original color. I’d like to know how many colors were offered in that year. Baby blue was also a popular one.